Allegra Boverman/Gloucester Daily Times. 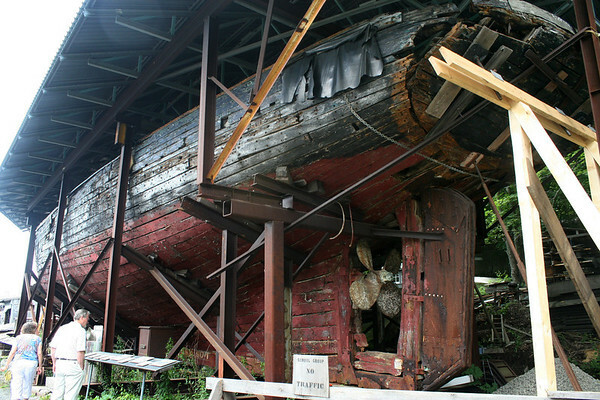 The Evelina M. Goulart is on display at The Essex Historical Society and Shipbuilding Museum. Al, Jr., and Dolores Breton of Ellington, Conn., were visiting the museum and looking at it. They went on the Schooner Challenge on Monday evening that was raising funds for the boat's stabilization project.